Clicking on any thumbnail below will take you to a gallery with more pictures of the part shown. Additionally, images for the other features not linked with a thumbnail, can be seen by accessing the Parts Close-ups in the gallery here. The first 252 1966 Shelbys were built from 1965 Mustangs. These cars are sometimes referred to as “carry over cars”, “crossover cars”, “change-over cars” “early ‘66 cars”, “near-specification cars”, “leftover ‘65s” or “65½ cars”. These cars had some 1965 features and some 1966 features. 250 cars were ordered from Ford at the end of the 1965 production run from the San Jose plant. These cars were to provide Shelby with enough inventory to keep production of the GT350s going through the Ford factory July/August shut down to re-tool for the upcoming 1966 models. Without these cars in the pipeline Shelby American would have had to shut down their assembly line for about a month and a half. So these cars were meant to “carryover” Shelby American until the new 1966 Mustangs arrived in October. The other 2 cars, 6S001 and 6S023, were prototypes (acquired outside the usual DSO ordering process), but they also started life as 1965 Mustangs and are included in this group. The carryover cars were ordered from Ford with the 1965 GT optional instrument cluster with the associated GT wiring harness and oil & water sensors. Ford also installed open drive differentials instead of the Detroit Lockers used in the cars destined to be 1965 GT350s. The carryovers all had 1965 Ford VINs. When they arrived at the Shelby facility they received some modifications that are considered fairly exclusive to the 1965 GT350s, and some other changes that were specific to the 1966 GT350s. Therefore these 252 cars are a fairly unique combination of most of the “go” features of 1965 (like lowered front A-frames and over-ride traction bars) with all of the “show” features of 1966 (like rear quarter-windows and side scoops). Or, as some say, both the “cooks” of the ’65s and the “looks” of the ’66s. 1965 Radio blockoff plate – Concave on the sides with 4 sharp corners, not convex on the sides with the 2 top corners rounded off as in 1966. 1965 Door hinge bolts – 3/8” diameter with 9/16” head and star washers. Not 5/16” diameter with 1/2″ heads and round washers as was common in 1966. 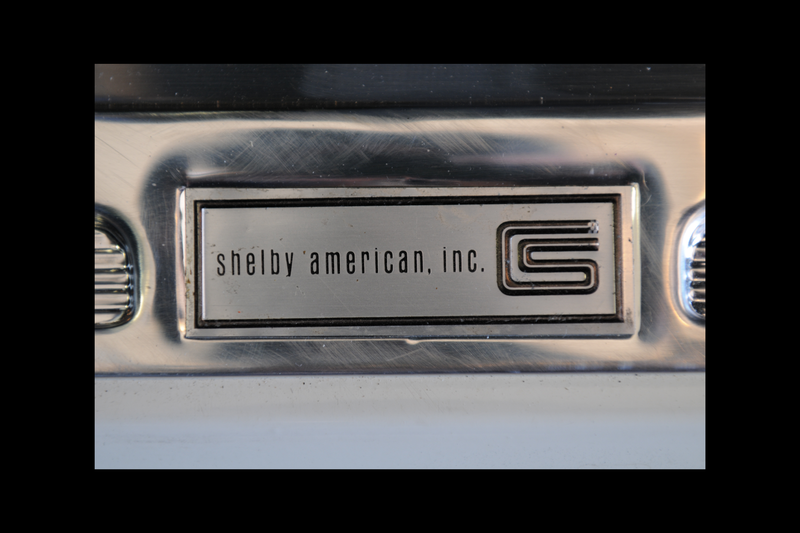 1965-style Shelby VIN tag. 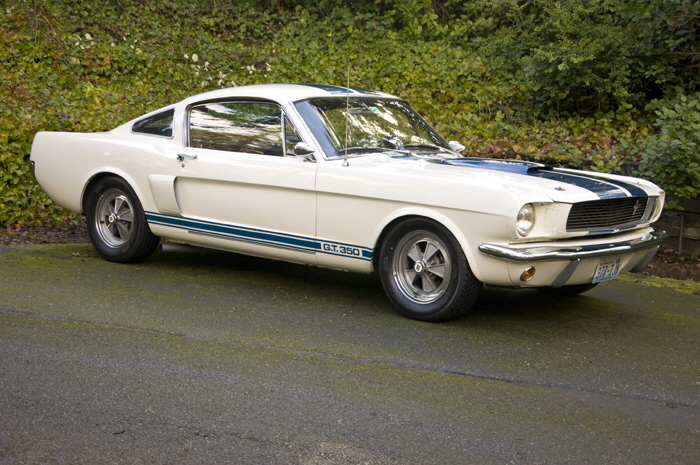 There were two VIN tag styles for the first two years of the GT350 – 1965-style and 1966-style. Carryovers have the 1965-style. The change to the 1966-style tag did not occur immediately with 6S253, but did happen within the next hundred or so vehicles. 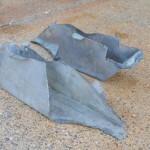 1965 Front fenders. On the driver’s side, the lip that bolts to the inner fender is flat from front to back. For 1966 (and For NOS service fenders) that lip has three bumps (also called humps, tabs, triangles, crash triangles, diamond tabs, arrowheads, or raised areas) in it. The first is just a little to the firewall side of the S.A. serial number tag (about even with the center of the Monte Carlo bar mounting bracket). The second is about halfway between there and the firewall. The third is just before the last fender bolt and the firewall. 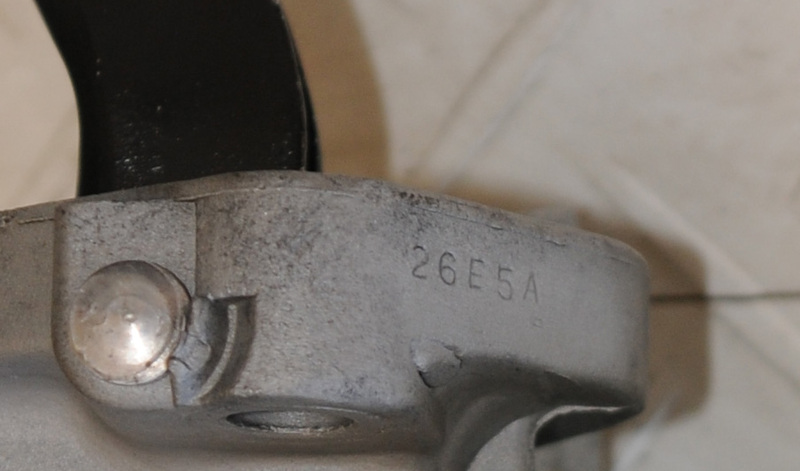 The transition to the tabbed fender lips appears to have taken place at the stamping plant in the late December 1965 to early January 1966 time frame. 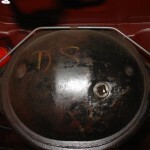 1965 Side vent drip pans. 1965 side vent drip pans had a short tube or pipe-like extension on the drain hole in the pan. (Possibly to attach a drain tube?) In 1966 the drain hole was just that – a simple hole – with the lip bent slightly downward. Engines painted black. The regular 1966 GT350s had engines painted blue. 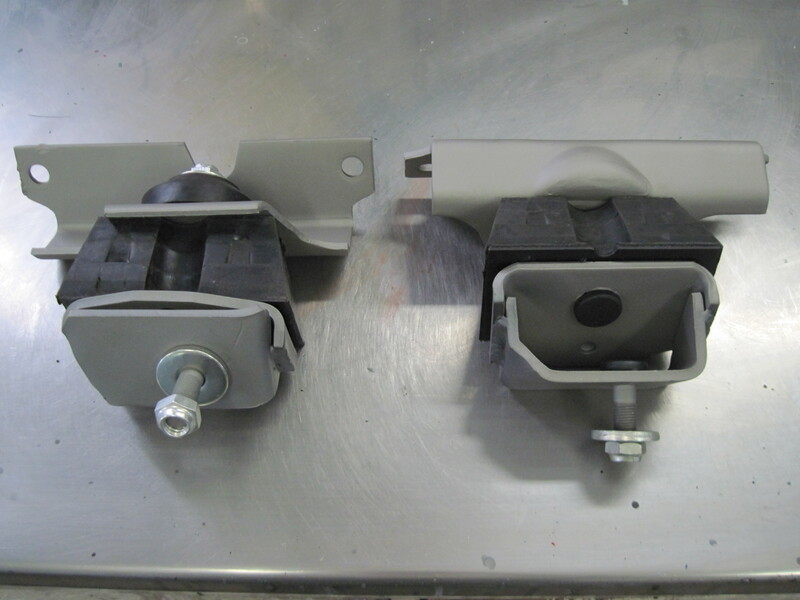 1965-style HiPo motor mounts. 1965 and early 1966 GT350s got special HiPo only motor mounts. Somewhere around SFM6S800 (give or take a hundred of so) the cars started receiving standard 1966 289-V8 motor mounts. 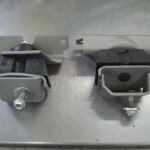 Tower hose clamps. 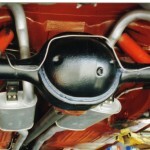 After a short transition period, most 1966 cars received wire hose clamps. Gold colored base plate for air cleaner. 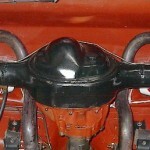 The 1966 chassis cars had blue air cleaner base plates. 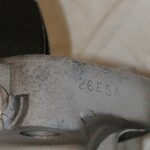 1965 Alternator part number ink stamping on the rear of the outer case. 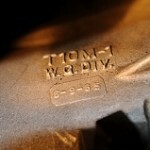 1965 GT350’s and carryovers had C5AF-D ink stamped on the alternator. After the carryovers C6AF-D was used. 1965-style 3939S fuel pump with integral canister filter. As opposed to the 4201 fuel pump that came on the later 1966 cars and had a fuel filter at the carb. 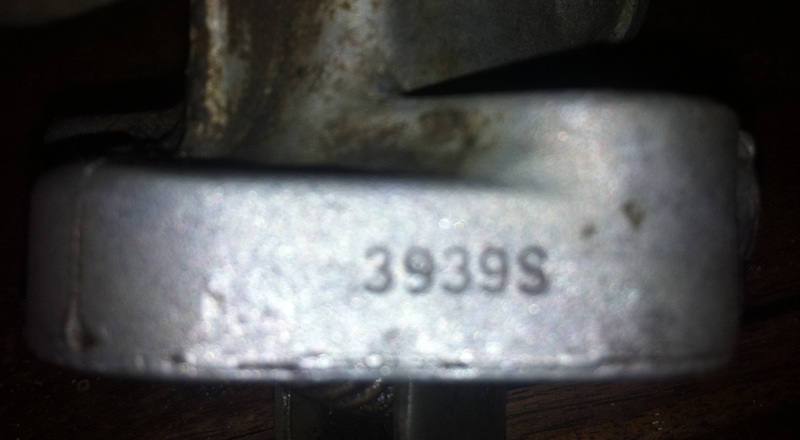 1965 Carburetor part number – List 3259. 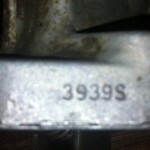 As opposed to the 1966 carburetor part number 2SMS-9510-A. 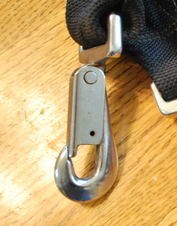 Screw-on windshield washer bag cap – Not hinged cap as was most common in 1966. 1965-style white “FoMoCo” lettering on windshield washer bag – Not 1966-style gold “Ford” lettering. The change of styles appears to have occurred in the late March – early April 1966 time frame. 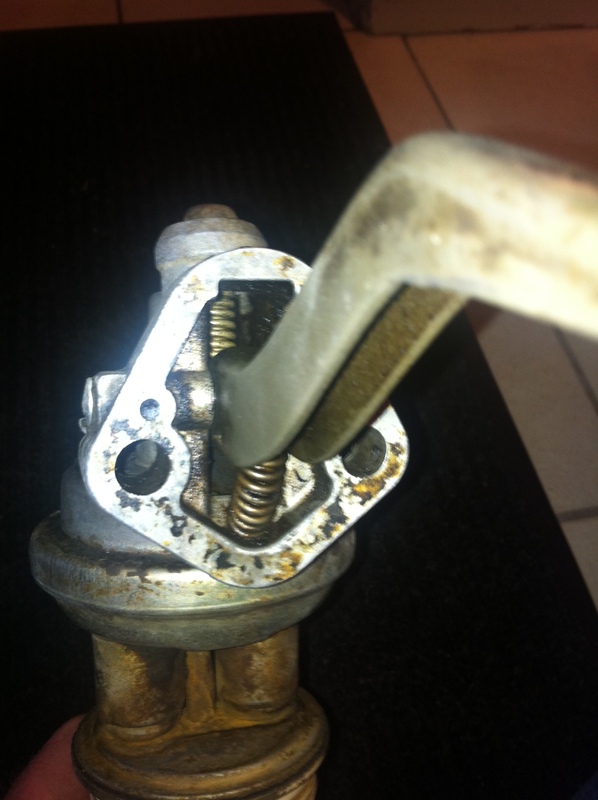 Disc brake round master cylinder had a brass fitting in front that the brake line screwed into. 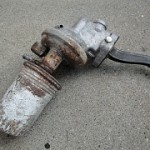 On most 1966 cars the brake line went directly from master cylinder to proportioning valve with no brass fitting. 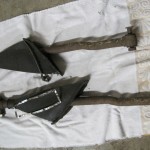 1965-style clutch release rod, Z-bar (equalizer bar), and rod from clutch pedal to Z-bar. The ‘65-style Z-bar and hardware was adjustable from under the hood. 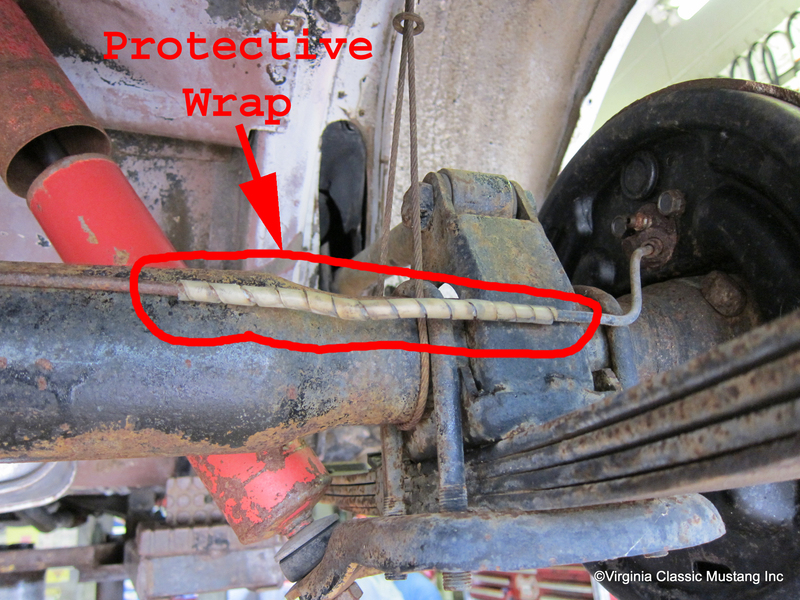 The ‘66 version required adjustment from under the car. 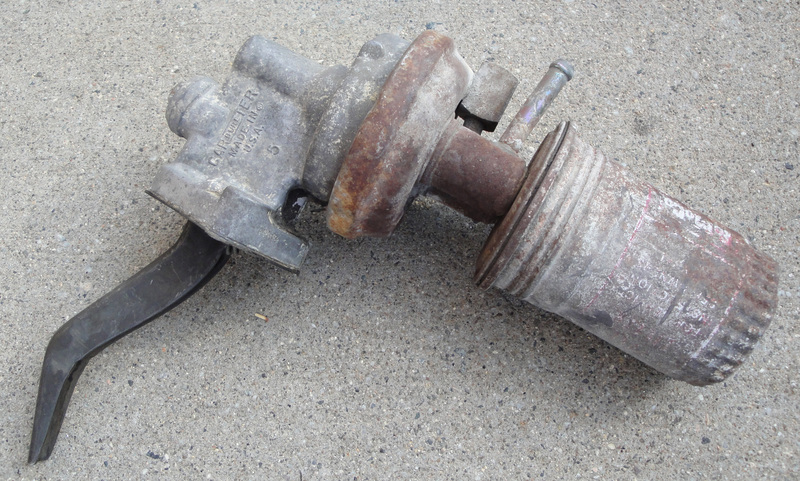 9/16” Diameter shackle studs & bushings – Two sizes of shackle studs were used on 1965/66 Mustangs. Early on the studs were 9/16” in diameter. Later they went to 1/2″ diameter studs. They each have bushings to match the stud diameter. Carryovers have the 9/16” version. 1965-style rear end housing – The center of the ‘65 housing is round or domed from when viewed from behind. The ‘66 version has a big semi-lump or half-dome appearance from behind. Over-ride traction bars. The transition to under-rides appears to have occurred between 6S919 and 6S923. Straight traction bars. The 1965 GT350s and all the carryover cars had straight traction bars. 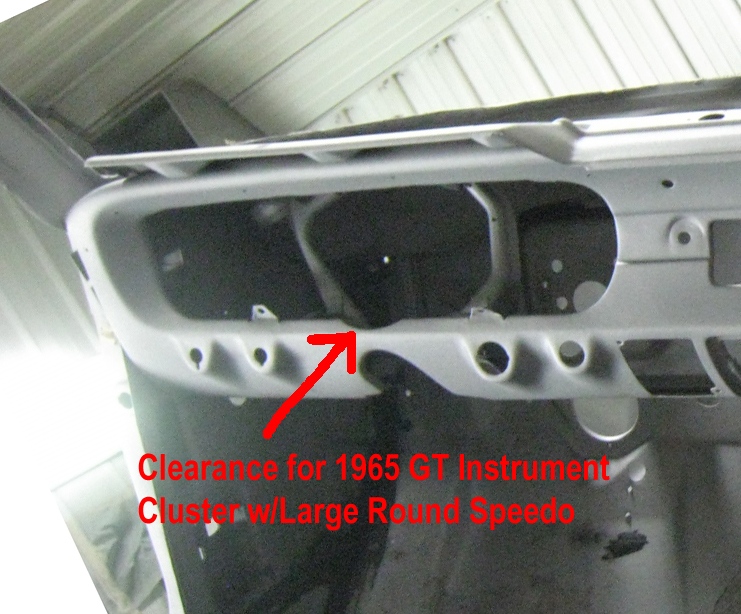 Most of the later 1966 GT350s that got over-rides had a kink (offset bend) to the side about halfway along the bar to improve clearance at full jounce. Use of the kinked bars appears to have started somewhere between 6S253 and 6S349. 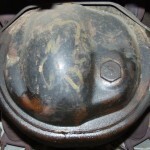 1965-style traction bar seals & covers. 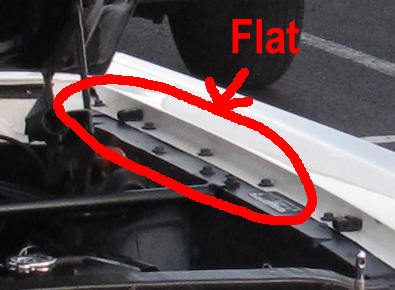 The 1965 GT350s and all the carryover cars had a piece of inner tube (with a slit in it for the bar to fit through) pop-riveted over the hole in the body where the traction bar passed through. 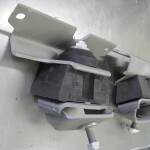 Then a rough fiberglass box was placed over the traction bar and mounting bracket on most cars. 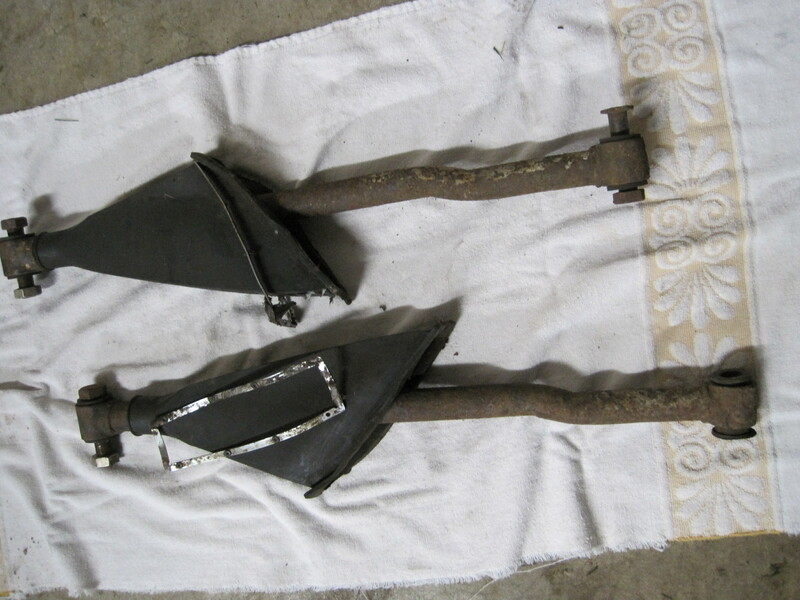 Later 1966 GT350s with over-ride traction bars had a molded rubber boot that sealed much better than the inner tube and did not require fiberglass boxes. 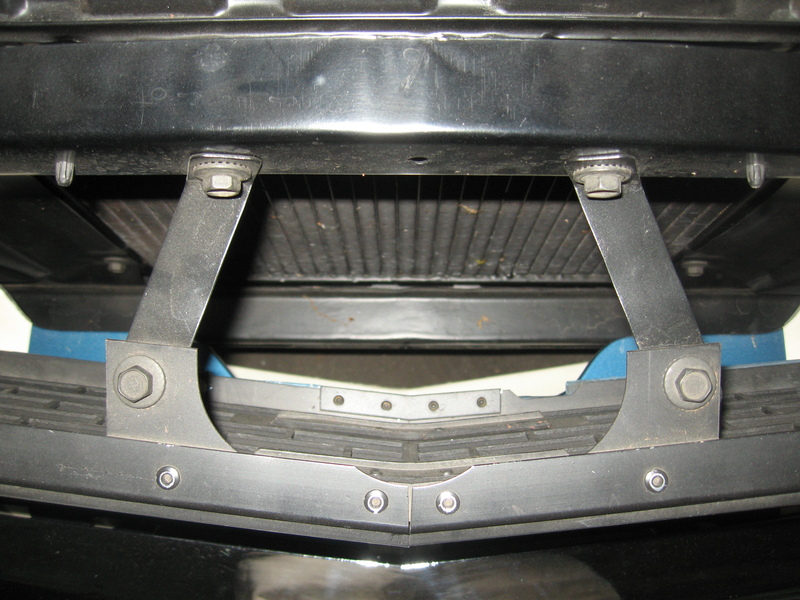 1965-style Rubber axle bump stop “snubbers” – Mounted on the inside of the rear frame rails because of the over-ride traction bars. The 1966 chassis cars with under-rides used stock Mustang snubber brackets with no modifications. 1965 Pinion shield & snubber. 1965 Parking brake hardware with individual left and right cables. Cars after the carryovers got 1966 parking brake hardware, with a layout that used a single cable. All carryover cars were white when they left Ford’s San Jose assembly plant. But Shelby American painted 6S051 green before its sale. And the prototype Hertz 4-speed car, 6S048, was painted black & gold by Shelby American. 1965-style HOLE in lower metal brace behind rear seat side panels. Cars after the carryovers have a (1966-style) SLOT in this location. 1965 Black alternator fan & pulley. The use of black actually continued after the carryover cars – at least thru the production of SFM6S1757. Late in 1966 gold became the standard color for these parts. “Hollow letter” sand-cast Buddy Bar valve covers – Not “solid letter” die-cast valve covers like the later 1966 cars received. The transition appears to have taken place roughly between 6S1400 & 6S1500. 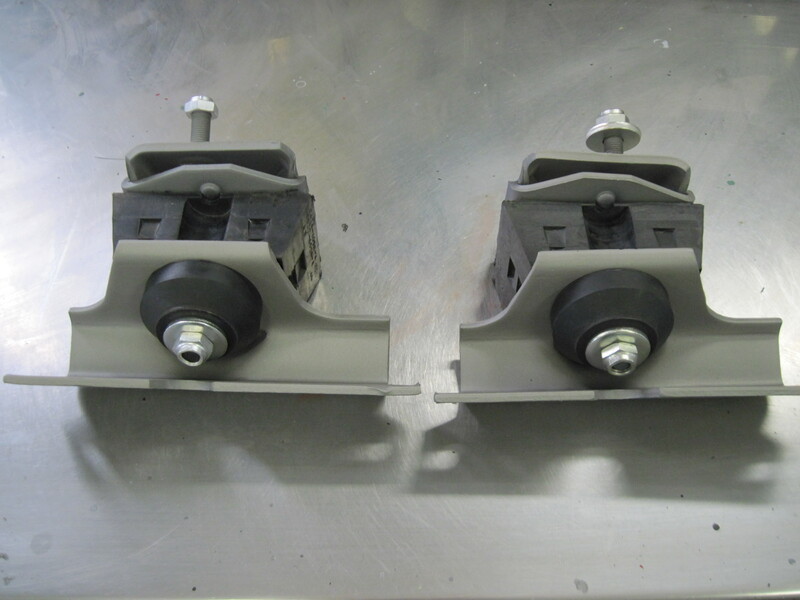 ALL-aluminum 4-spd transmission cases – both main case and tailshaft housing. The ’65 GT350s and the carryovers (except 6S023, the prototype automatic transmission car) had all-aluminum 4-spd transmission cases. 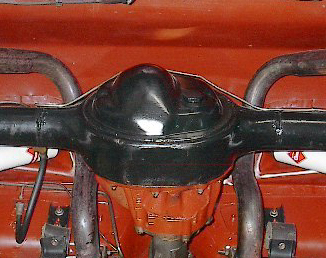 Later ’66 cars sometimes had a cast iron main case and/or tailshaft housing. And, of course, some of the ’66 cars had automatic transmissions. Koni Shocks – Koni Shocks were standard on all ’65 Shelbys and were installed by Shelby American on 1966 GT350s up to 6S952. Cars after that received Ford Autolite adjustable shocks at San Jose. Axle (or jounce) limiting “rebound” cables; as was the case on all Koni equipped cars. 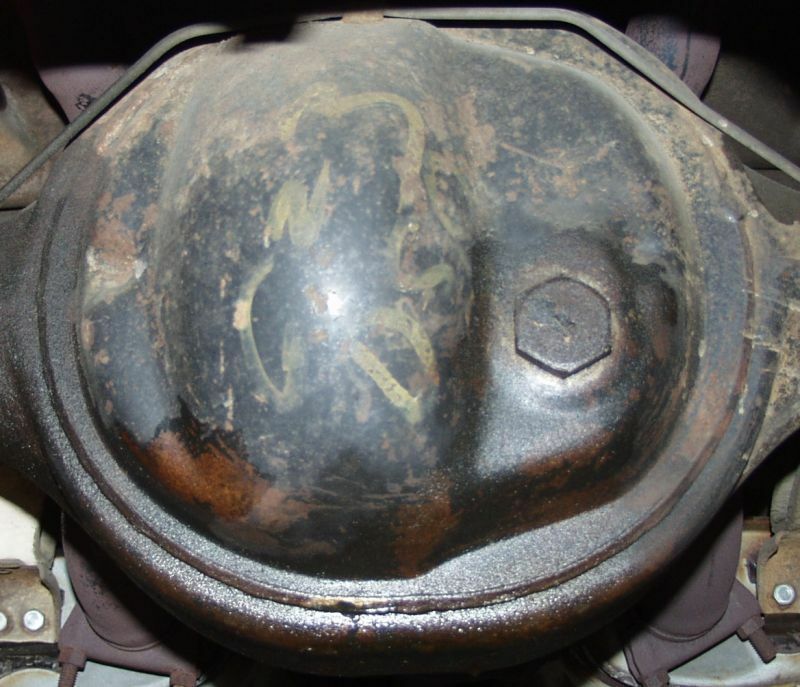 Plain inner wheel housing on rear, passenger side – with no indentation in the trunk area for spare tire clearance like later 1966 cars had. The indentation showed up roughly between 6S1802 & 6S1902. LeMans Stripes – The carryovers were like the rest of the 1965 & 1966 GT350s when it came to the LeMans stripes. Some got those stripes at Shelby American. Some had the stripes dealer installed. And some were sold to the original owner without stripes. 1966 GT350 tape side stripes – Not painted rocker panel stripes as in 1965. 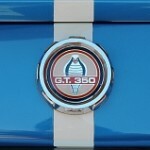 In 1965 the “GT350” letters were tape (3M ScotchCal adhesive backed vinyl decal) and the side stripes were painted. In 1966 it was all tape. Also, the 1965 painted stripes may have been a bit wider than the 1966 tape stripes. Ford Rotunda racing style mirror – Not all carryovers had an outside rear view mirror from the factory, but those that did usually had the Rotunda mirror that was used on the other 1966 GT350s – not the Talbot mirror that was sometimes used on the 1965 GT350s. 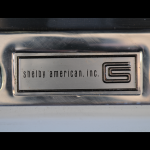 1966 CS Door sill emblems – not the black Ford oval as in 1965. 1966-style crescent shaped cutout in the lower center of the instrument bezel stamping in the dash. 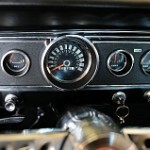 The regular ’65 Mustang stamping in the dash did not leave quite enough clearance on the bottom for the large round speedometer in the ’65 GT instrument bezel. So in 1965, the cars destined to have the GT panel had an extra indentation stamped in the lower side to allow for clearance. This indention had a rolled lip and a radius to match the bottom of the round speedometer. This was the exception in 1965, but became standard in 1966 because of the standard ’66 5-dial instrument panel. 1966-style rear shelf with ribs and no provision for the spare tire (on cars without rear seat). Rear seats were optional in 1966, but most cars had them. Only 95 of the 1966 GT350s are believed to have come with the rear shelf, and 82 of those were in the first 252 cars. 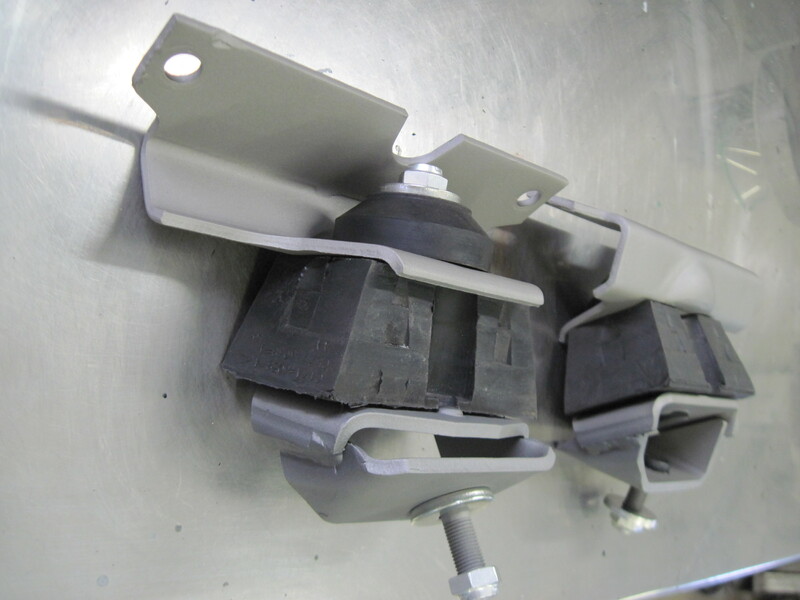 Later style HiPo rear axle bumper plate with three holes instead of just one. Use of this plate actually started around the half-way point in 1965 production. 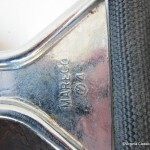 It is listed here in the 1966 section because it was only used on some of the 1965 cars, but on all of the 1966 cars. No drive shaft loop. The 1965 cars have this, but the only ’66 cars with drive shaft loops were the 4 factory drag race cars (011, 018, 021, and 182). 1966-style wiper setup – Late 1965 & all 1966 cars had a raised area half-way around the wiper holes in the cowl (on the side toward the windshield). They did not have a bezel for the wiper mounts that protruded through those cowl holes. They had wiper arms with a flare at the base. 1966 Owner’s manuals (usually). See the notes below for more details. 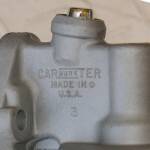 Water pumps and timing covers – While not technically a 1966 feature, it should be noted that all the carryovers had cast iron water pumps and ribbed timing chain covers. Before May of 1965, 289 HiPo engines had aluminum water pumps and smooth timing chain covers. 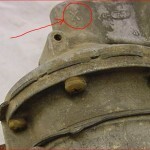 In early May of 1965 there was a change (L8) to cast iron pumps and ribbed timing covers. A few of the later 1965 GT350s and all of the 1966 GT350s, including the carryovers, were produced after that change. Trunk Lids – There were two different trunk lids used in 1965/66 distinguished by their underside framework. Type-A (commonly referred to as 1965 or rectangular) has 2 large rectangular cutouts in the framework. Type-B (commonly referred to as 1966 or 4-hole) has 4 holes cut out in the framework; two in each of the rectangular areas. The change from type-A to type-B appears to have been a running change that occurred at the end of the 1965 model year. 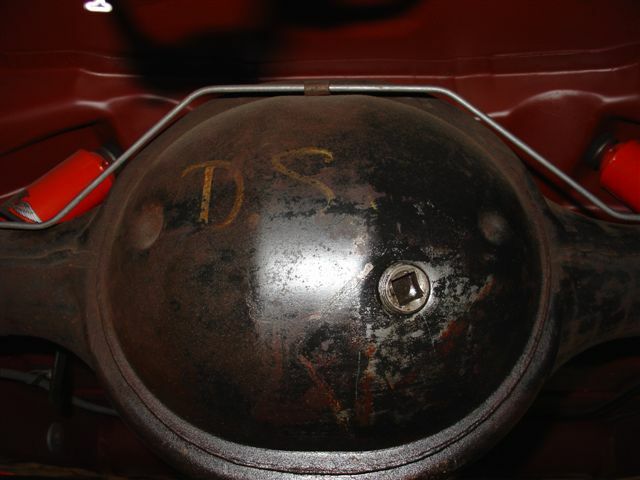 From the factory, some carryover cars had type-A lids and some had type-B lids. 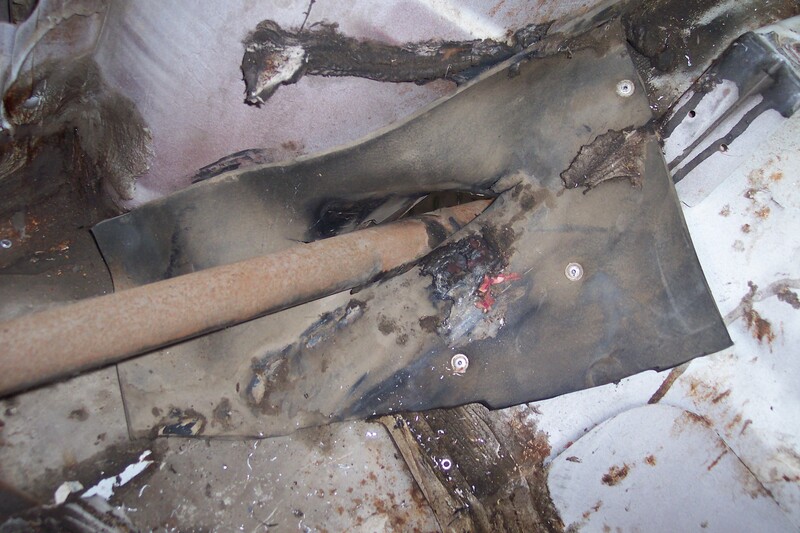 Rear Floor Pans – There were two types of rear floor pans used in early Mustangs. 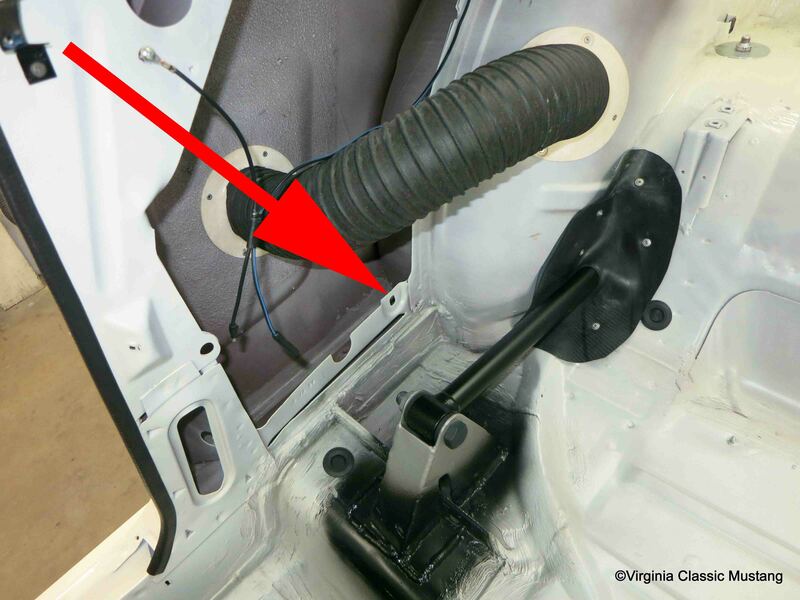 In 1965 there were two humps in the rear floor pan – one on either side that allowed the parking brake cables under the car to route over the rear frame rails. In 1966 the rear floor pans were flat in that area and the parking brake cables routed under the rear frame rails. The change from one style to the other was a running change that occurred near the end of the 1965 model year. Carryover cars with lower VINs tend to have the 1965-style humps. 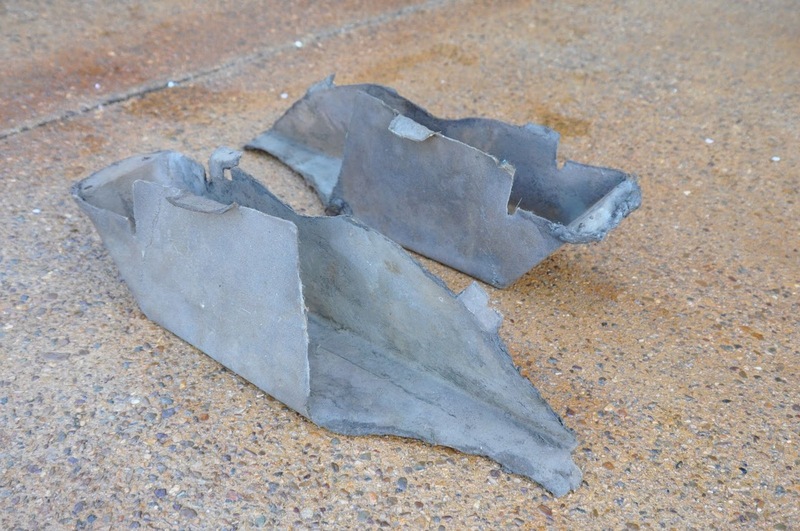 Carryovers with higher VINs tend to have 1966-style flat floor pans. 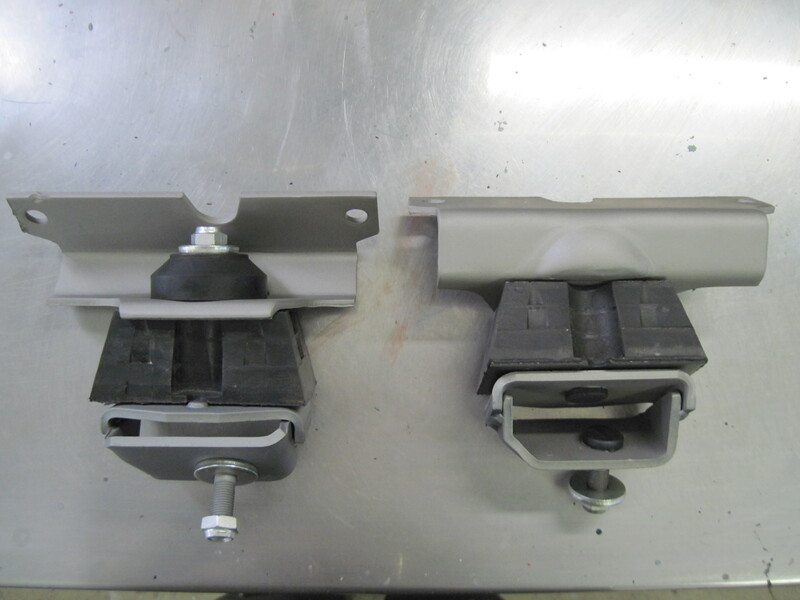 Pedal Pads – Sometime in 1965 Ford transitioned from pedal pads (gas, brake & clutch) that had no groove around the outside edge to pads that did have a groove around the outside edge. The carryover cars were built after that production change and most have the later “grooved” pedal pads. 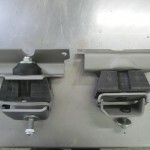 But a few carryovers are known to have the early, plain brake and clutch pedal pads. 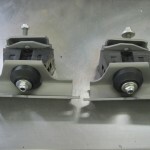 Fender Bolt Washers – There were two types of fender bolt washers used on 1965 & 1966 Mustangs. 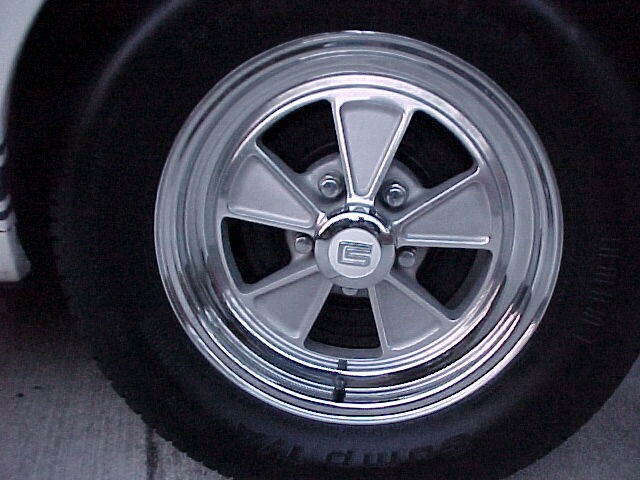 Most 1965 cars had “star” washers while most 1966 cars had “disc” washers (also called flat, round or conical washers). 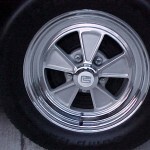 There were a number of exceptions to this general rule – including a few cars that had star washers on one fender and disc washers on the other. Both types of washers were in use when the carryover cars were built. Some carryovers came originally with star washers and some came with disc washers. Instrument Bezel – 1965 GT Instrument bezel with black camera case finish. 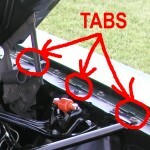 The 252 carryover cars were the only GT350s to have this specific instrument bezel. ’65 GT350s had the standard ‘65 panel. ’66 GT350s had the standard ’66 panel. 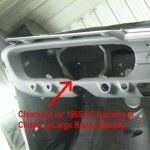 The 1965 GT instrument bezel is similar to the 1966 bezel but not exactly the same. The outer trim on the 65 GT bezel only goes around the top half of the bezel (creating an eyebrow effect) – not all the way around as in 1966. Ammeter – 1965 GT ammeter that has a loop on the back. 1965 GT350s had a simple warning light in the dash. Regular production 1966 GT350s had an ammeter with posts on the back. Wiring Harness – 1965 GT wiring harness to work with the ’65 GT instrument panel and its loop style ammeter. This harness also included pigtails for the fog lights that ’65 GTs came with. And it did not include any wiring for a 4-way flasher. 1965 Shelbys came with a standard 1965 Mustang wiring harness. The “regular” 1966 Shelbys had a standard 1966 Mustang wiring harness. So these 252 carryover cars were the only GT350s to have that specific wiring harness. All-Chrome Grille Joint Covers – On 1966 Mustangs and regular production 1966 GT350’s the grille joint covers have some argent silver paint to make that portion blend in with the rest of the grille opening. On carryovers, that part is all chrome – no silver paint. The carryovers were being converted at Shelby American before the start of production of the 1966 Mustangs. As such, they probably received pre-production grille joint covers that were all chrome. That’s not a certainty, but it seems like the most logical explanation. There are several period photos of carryovers that show this all-chrome joint cover. The best we’ve seen is this picture of 6S051. This is a crop of a photo taken on October 8, 1965 by photographer William Eccles. 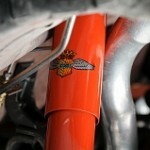 It is used here by special permission of Jim Cowles (of Shelby Parts & Restoration) and the Shelby American Collection. We extend our sincere gratitude for their generosity in allowing this use. 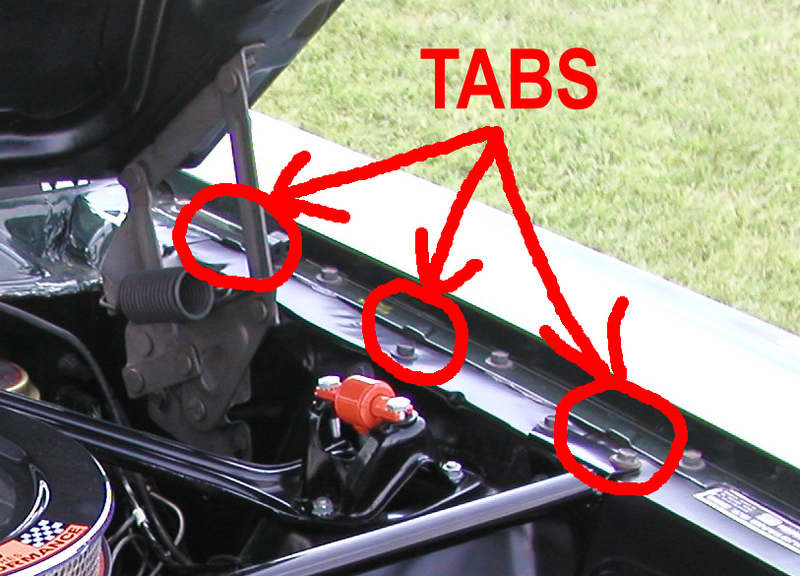 No Tach Bracket Spacers – Most 1966 GT350s got spacers under the tach mounting bracket to keep the dash pad from being compressed too much when the tach mounting screws are tightened. Those spacers look like short pieces of tubing 11/16″ L, 1/2″ OD, 1/16″wall. Originals are thought to have been some sort of bakelite material. Ford replacements were made of steel. Carryovers do NOT have these spacers. The 1965 dash pad is thinner in the tach mount area and these spacers would stick out above the pad. 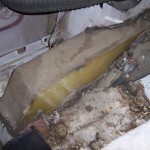 Rear Seats Without Seat Belts – 1965 Mustangs did not have rear seat belts. Since the 1965 GT350s had package trays in the back that was not an issue. 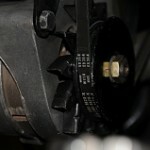 But in 1966 rear belts became standard equipment in Mustangs. So all the 1966 Mustangs got rear belts, as did all the GT350s that were built from 1966 chassis. Once again, the carryovers are different. 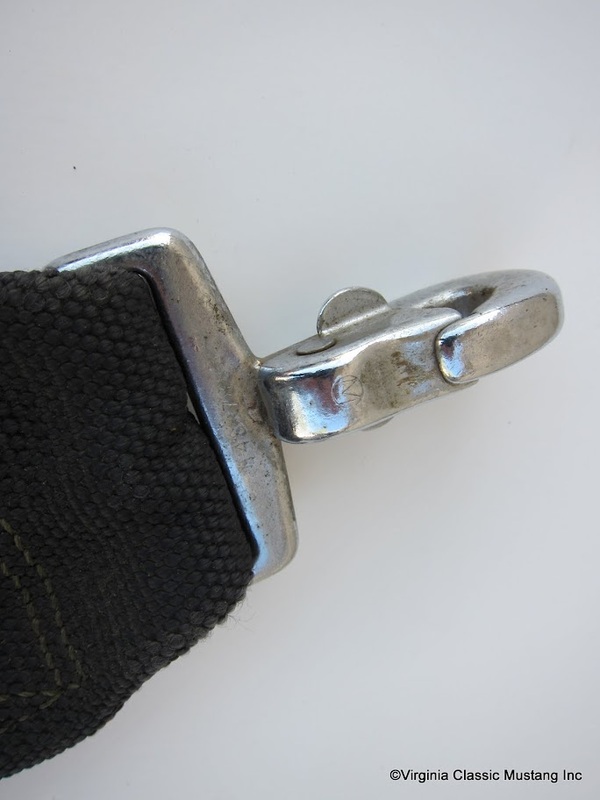 Because they were built from 1965 chassis there were no mounting points for the seat belt anchors to attach to. And there were no slots in the rear seat cushion for the belts to thread through. So unlike the other 1966 cars, the carryovers that had rear seats did not have rear seat belts. Brake Line Plastic Protective Wrap – Quite a few original Carryover 1966 GT350s have a plastic protective wrapping on each side of the metal rear brake line. 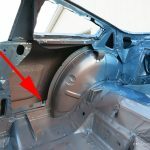 Apparently this was added by Shelby American to protect the metal lines where the lines could possibly rub against the rear traction bar brackets. There was approximately a 7 ½” piece of this wrapping on each side. 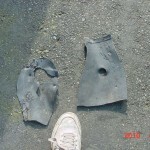 In these pictures the original proactive wrap is dirty and yellowed, and almost looks black. When new, the wrap has a translucent, white look to it. Because these cars are over 50 years old and most have been restored or repaired at some point, it’s impossible to tell how many originally received this wrap. At this time we have 9 carryovers confirmed to have this protective wrap from the factory. This wrap has only been observed on carryovers – not 1965 or later 1966 GT350s. This wrap is available new from Virginia Classic Mustang as item # BK761. VOID for G.T.350 – Some of the original Mustang Owner’s Manuals that came in GT350s had a red “VOID for G.T.350” stamped on the warranty pages. But there are some known original manuals that did not have this stamping. The prevailing theory is that Ford and Shelby American intended that all the manuals be stamped like this, but for various reasons that didn’t always get done. Vehicle Production Sequence – Shelby VINs were assigned as the cars were delivered from Ford, but the cars were not always taken into the shop for completion as GT350s in numerical VIN order. For example, you could reasonably expect that 6S240 was produced after 6S087 because their Shelby VIN numbers are quite far apart. But if comparing cars closer together, like 6S081 and 6S086, it is difficult (if not impossible) to know for certain which one completed its conversion into a GT350 first. European Vintage Racing – Vintage racing is very popular in Europe where the governing body is the FIA. One of the more popular classes is the “Historic 1965 or Older” class. 1965 GT350s are highly treasured for their ability to compete in that class. The carryovers are also allowed in that class by way of the 1965 Ford VIN stamped into their chassis. Factory production records show that cars up to 6S800 were built during the 1965 calendar year, so they are also eligible. Tachometer Cup & Mounting Bracket – There were two different tach cups and two different mounting brackets used in 1966 GT350s. 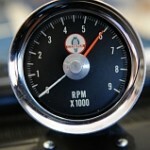 One tach cup was painted crinkle-black and was mounted to the dash with a “rounded” bracket. The other tach cup was chrome plated and was sometimes mounted with a “triangular” bracket. It is believed that the black tachs were the ones installed in these cars at the factory, and the chrome tachs were sold over-the-counter by Shelby American and used as warranty replacements. But this has not been conclusively determined yet. 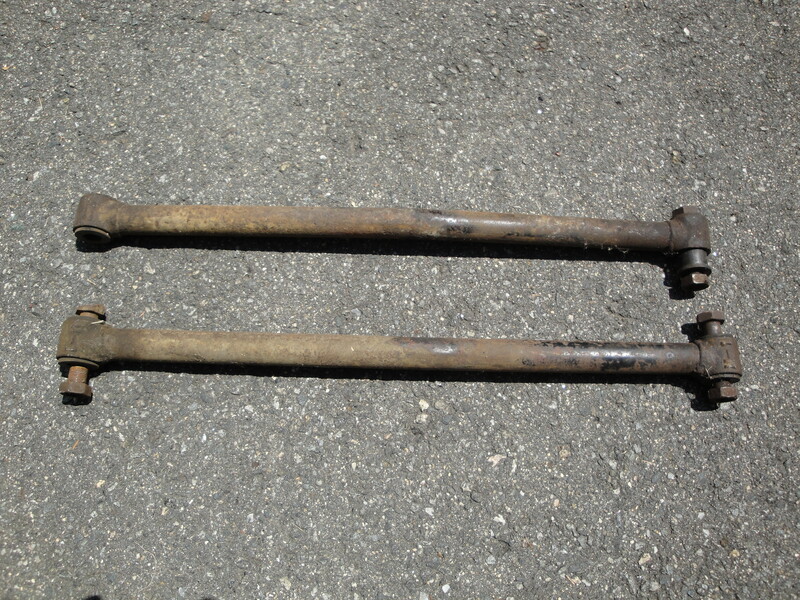 Header Bolts – There were two different header bolt styles used on 1965 and 1966 GT350s; one is referred to as “countersunk” and the other as “Rockford”. 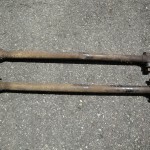 The countersunk-style had a countersunk indention in the bolt head and is believed to have been used during the 1965 GT350 production run. The Rockford-style has a flat head with “ROCKFORD” inset around the 3 bars that designate a grade 5 bolt. This Rockford-style is believed to have been used during the 1966 GT350 production run. But no one really knows exactly when Shelby American changed from using one style to the other. So carryover cars may have had either style or a combination of the two. Grille Brackets – Regular Mustangs had hood latching hardware that doubled as a brace from the radiator support to the top center of the grille. In 1965 the GT350 hoods were held down exclusively by two chrome hood pins. 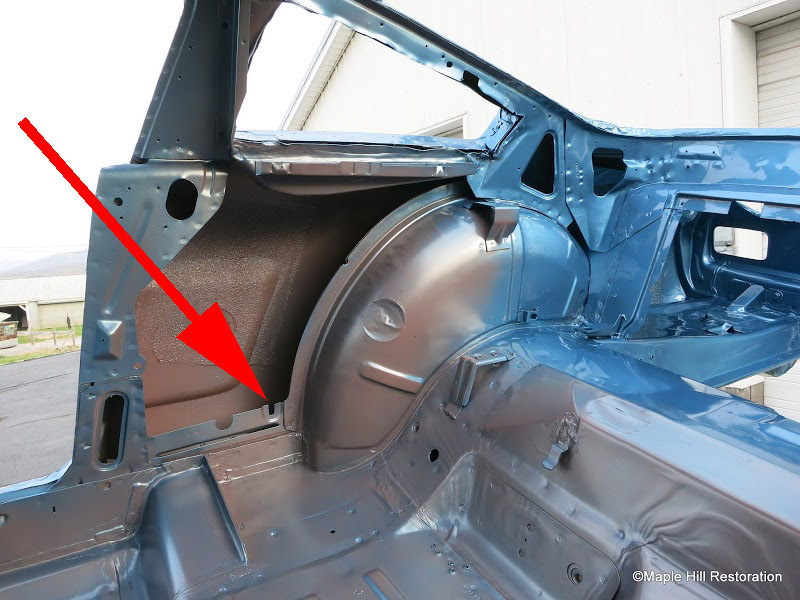 So 1965 GT350s dispensed with the Mustang hood latching hardware and had a one-piece stamped sheet-metal replacement part to support the center of the grille. For the carryover cars, the hood was still held down solely by two chrome hood pins. 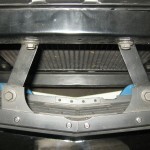 But instead of the one-piece 1965-style brace, two narrow flat strap brackets were used to support the center of the grille. (The only known exception to this is 6S001 which has a one-of-a-kind bracket used only on that prototype car.) 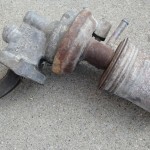 It has long been believed that those brackets were unique to these cars. Later 1966 GT350s used standard Ford hardware. But just when did that change take place? The DSO sheets and the build sheets contradict each other on this issue. 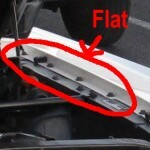 So the first few hundred 1966 chassis cars “may” also have had those flat strap brackets. 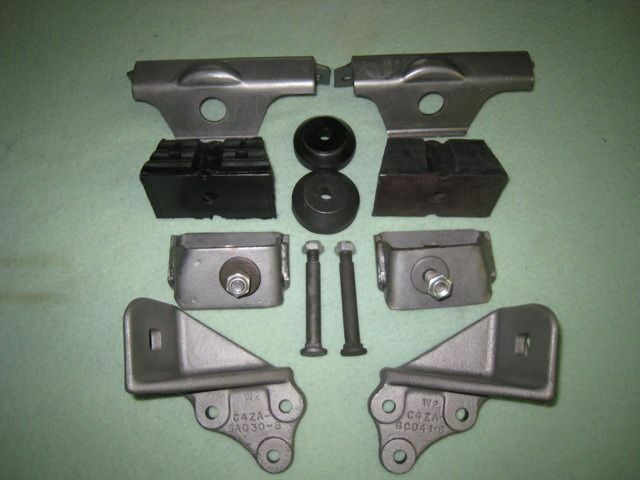 It is the belief of this web site that these brackets are original only to the carryover cars. Our research indicates that as most probable. But with the abundance of reproduction brackets available and lack of early 1966 chassis cars with pristine histories to examine, this issue may never be decisively resolved. 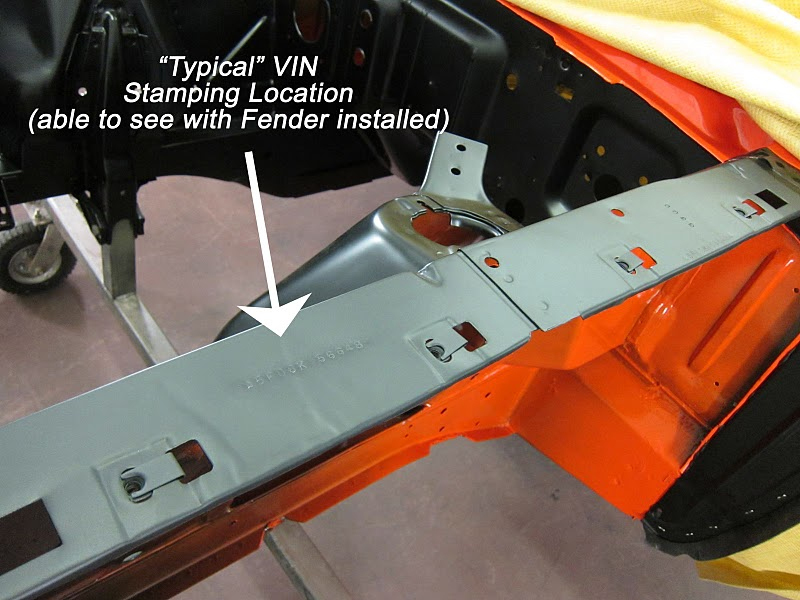 The most widely known location of the Ford VIN stamping on 1965-66 Mustangs is on the driver’s inner fender apron – framed by a notched out area in the outer fender lip. On regular production Mustangs that is the only Ford VIN stamping on the unibody that is visible after the fenders have been bolted in place, and it is used for legal purposes. 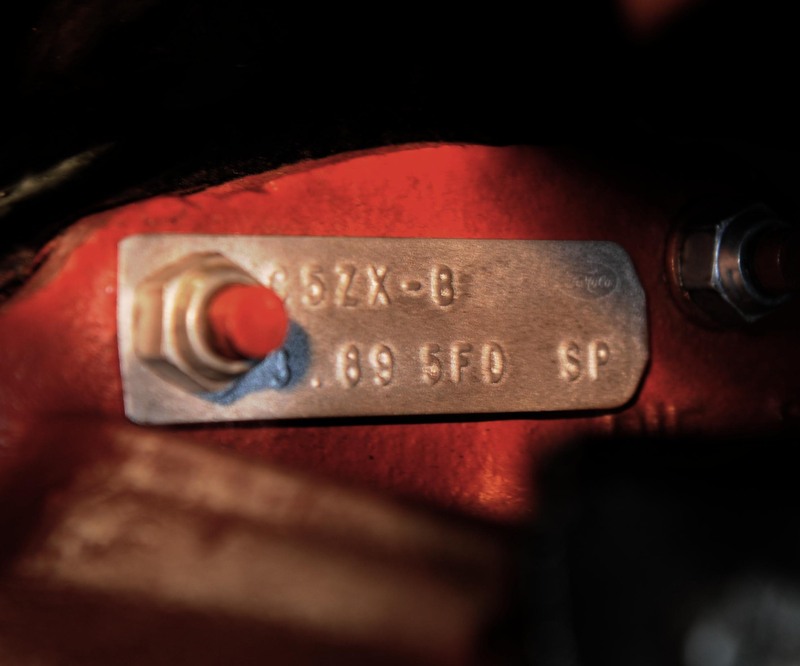 On 1965-66 GT350s Shelby American pop-riveted their VIN tag over those numbers. 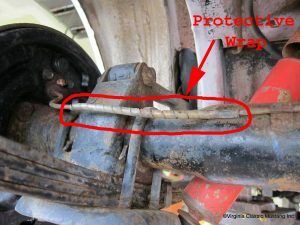 On some carryovers that Ford VIN stamping is not there – it is in a different location – over at the very edge of the inner fender apron. This is not a simple case of the stamping being slightly crooked or a little out of place. It is not partially obscured or barely out of sight under the outer fender. In this case the stamping is clearly placed at the very edge of the inner fender apron, well away from the usual location and perfectly aligned with the apron edge. It is not visible without removing the outer driver’s fender or prying it up dramatically. On cars like this a peek under the Shelby VIN tag will only reveal smooth sheet metal, which can be a bit of a shock unless you know where else to look. The production at San Jose of the 250 non-prototype carryovers was done on several different days over a roughly 5 week time period. That pretty much rules out the idea that this was an isolated equipment problem or a simple human error. 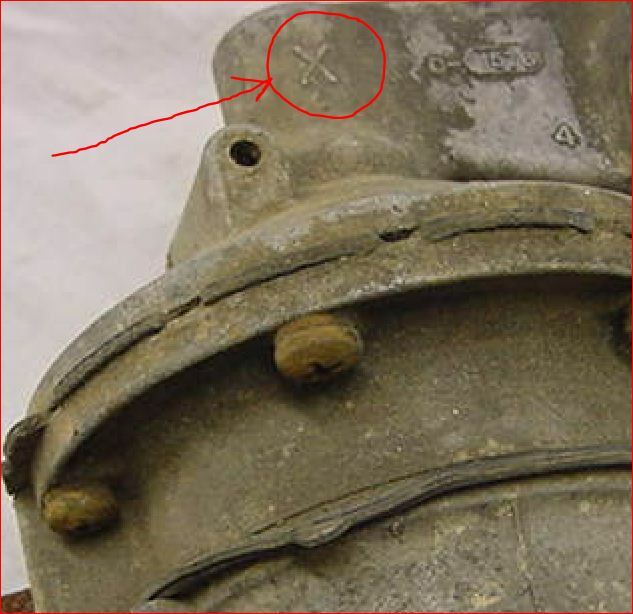 If either of those were the cause then not just carryovers, but many regular Mustangs would also have been stamped like this. Ford could not sell cars stamped that way. They would have to pull the fenders off and restamp correctly. That would have cost dearly in time and money. It’s not reasonable to think that this would go on for more than one day. Any equipment problem would have been immediately corrected. Any employee at fault would have heard about it loud and clear and never made that mistake again. We are not aware of any other 1965-66 Mustangs or GT350s with this specific trait. All things considered, it appears that this unusual stamping was done on purpose. The fact that no other Mustangs or GT350s are known to have this trait would seem to be an important clue to the reason why. Is it possible that Ford used this “hidden” stamping location because they knew these were 1965 Mustangs destined to become 1966 GT350s? 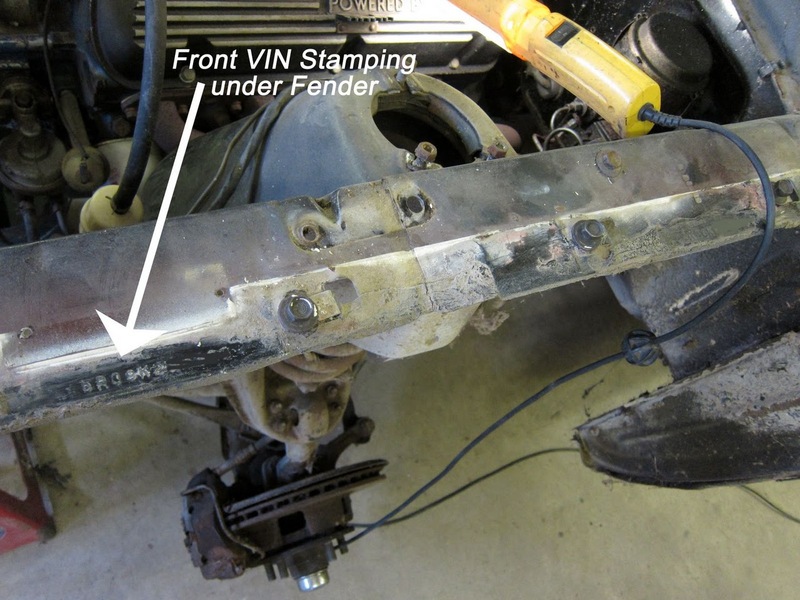 Maybe they didn’t want any 1965 VIN stamping to be visible – even during the transportation and conversion process. But that wouldn’t explain why some of the carryovers were like this and others were stamped in the usual place. We may never know the reason, but this was certainly no accident. First, let’s address the rear seat belts. There were no rear seat belts in the carryover cars. There were no anchor points to attach belts to, and there were no slots in the rear seat cushion to feed the belts through. That was short and easy, wasn’t it? Now let’s talk about front seat belts. 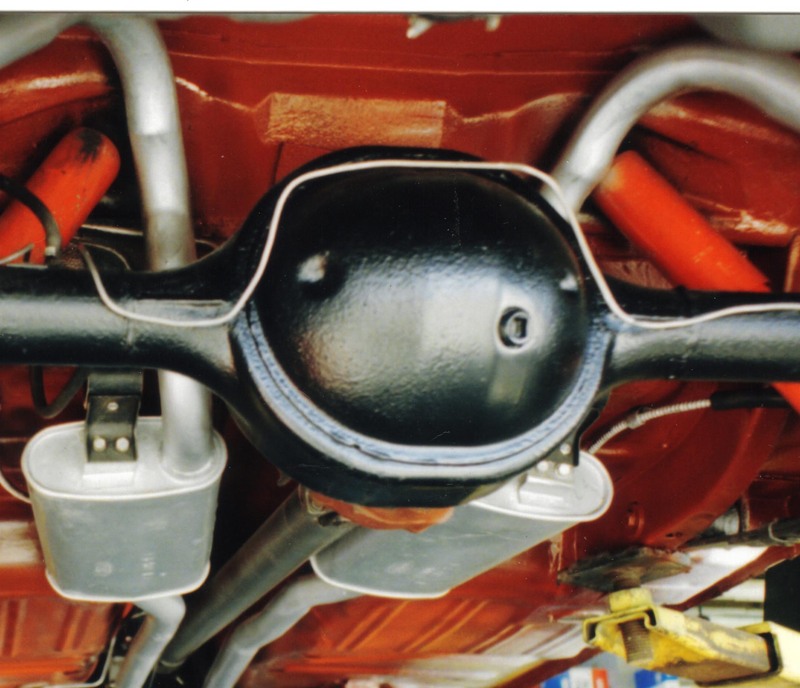 1965-66 GT350s had 3″ wide, aircraft style front belts. There are six specific features of these belts that deserve special attention – the plating, the leather pads, the labels, the floor snap hooks, the latch links and MARECO letters. 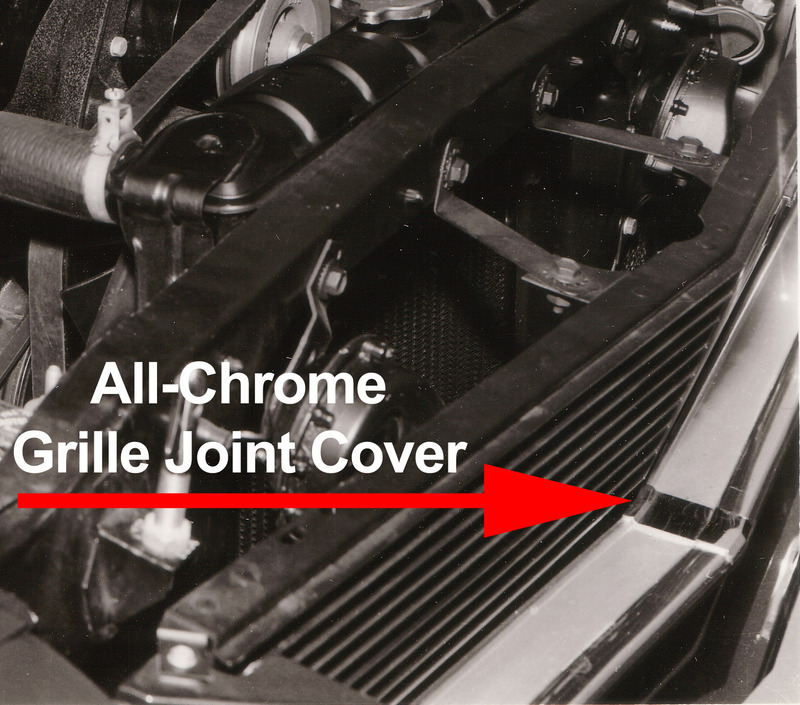 Plating – Original belts for 65-66 GT350s had chrome plated hardware. The only known exceptions are the R-models which generally had cadmium satin finish hardware. And even some of them had chrome hardware. 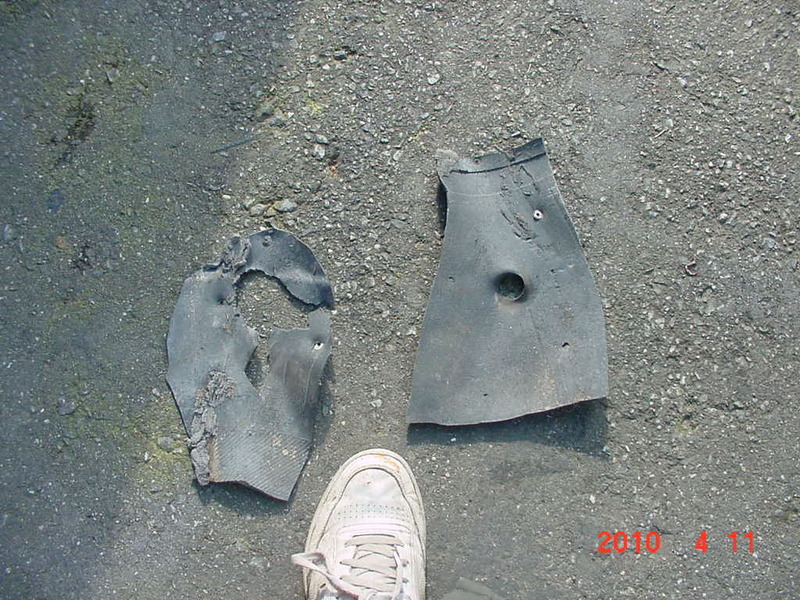 Leather Pads (Color) – Most leather pads in 1965-66 were black on top and natural tan on bottom, but there are exceptions to this. 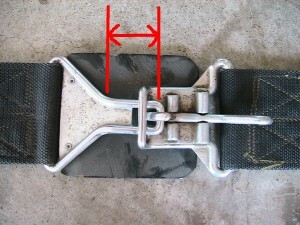 We are aware of 3 sets of known original belts in carryover cars that are natural tan on both sides of the pad. And we know of two original sets that are black on both sides of the pad. 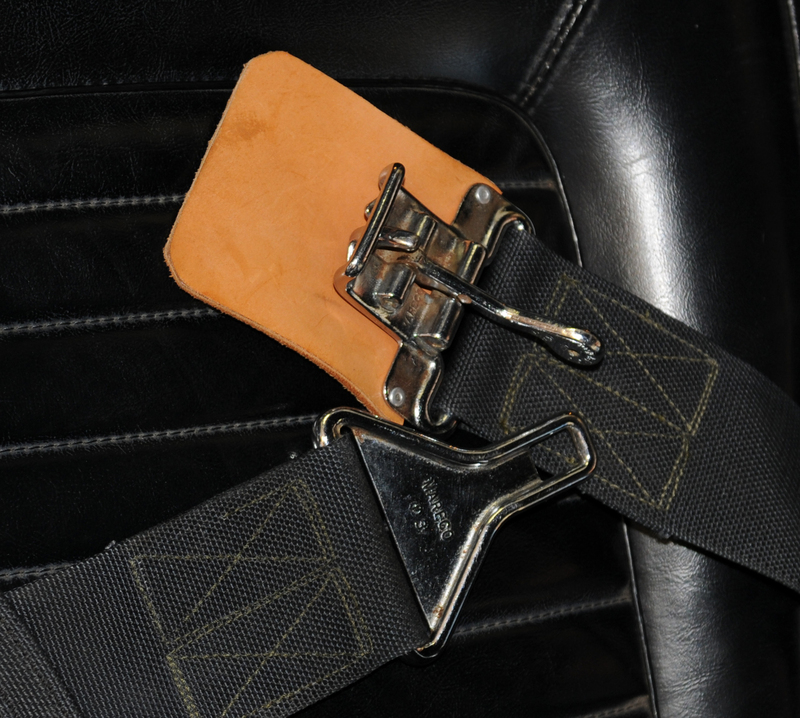 Labels – Ray Brown made the 3″ wide, aircraft style lap belts for the Cobras and 65-66 GT350s. 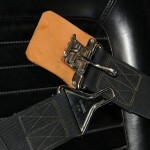 The first belts used in the Cobras had “Impact” on the labels. Later (we’re not sure just when) they started using “Ray Brown” on the labels. Somewhere in the range of 6S1400–1500 they changed back to Impact. 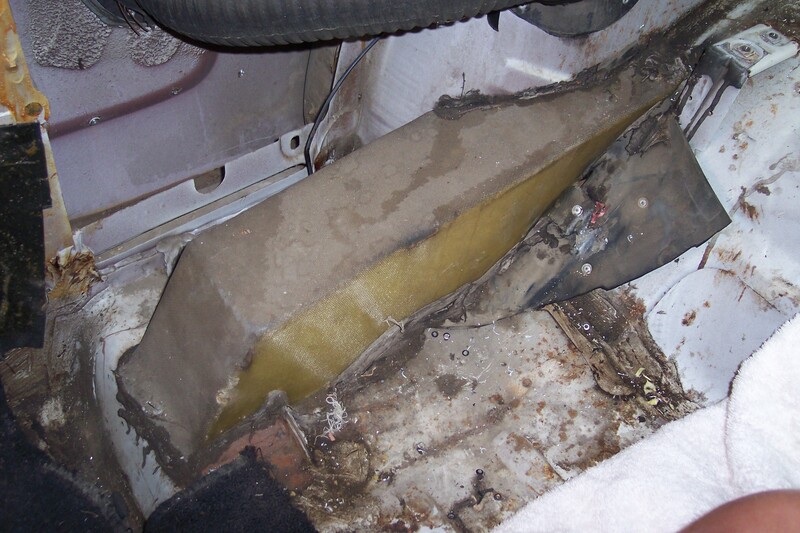 It’s not uncommon to find cars with one Ray Brown belt and one Impact belt. 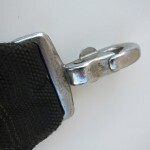 Snap Hooks – The 1965 cars generally used short floor snap hooks with “wings” to fasten the belts to the anchor eyelets. At some uncertain point long snap hooks became predominant, although short hooks continued to show up sporadically. Most 1966 cars got the long hooks. The carryovers appear to have been in the transition period with both types showing up. As mentioned in the paragraph about leather pads, belts with short “winged” floor snap hooks generally have the leather pads attached under the latch. Belts with long plain floor snap hooks generally have the pad attached under the link. 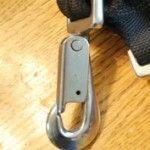 Latch Links – The narrow metal tongue that slides into the latch when the belts are fastened. (See pictures.) Some Belts had long latch links and some short. 1965 and earlier 1966 cars usually had the longer latch links. At some uncertain point later in 1966 the short latch links became more common. 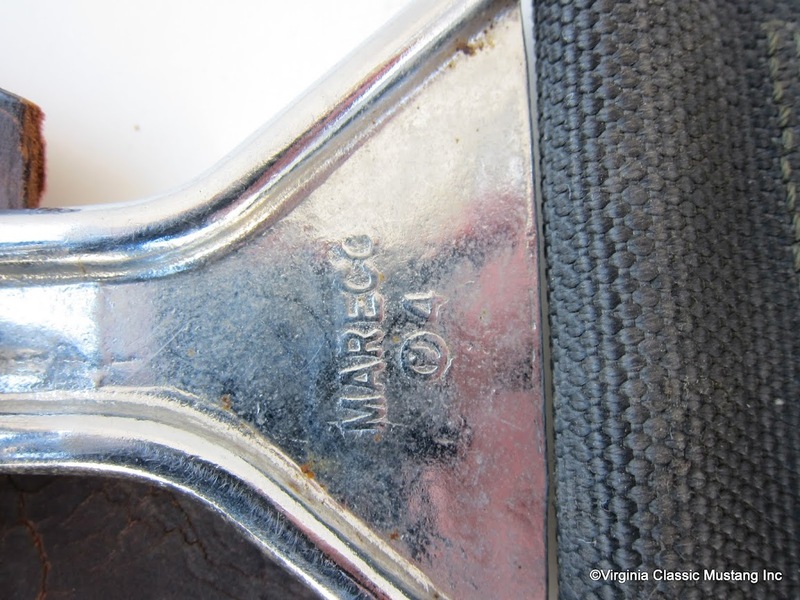 MARECO Letters – Some latch links had MARECO in raised letters on the metal, and some did not. 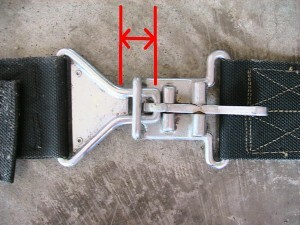 Mareco was a company that made aircraft safety belts. So far the only belts we’ve seen with those letters have been the long latch link type. But this is a relatively new part of our study and no patterns have been spotted or conclusions made at this time. 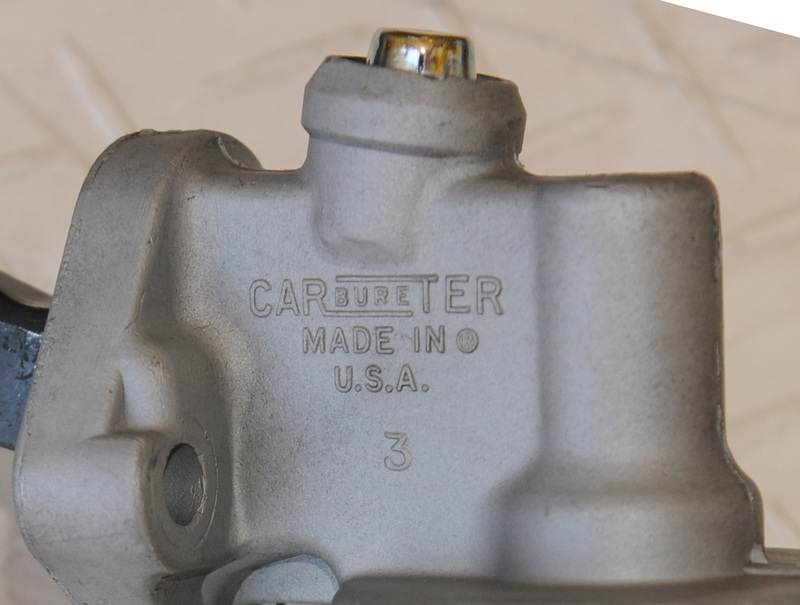 On the side of the case there is raised lettering sthat says “CARbureTER” and “Made in the USA”. Later models may just be marked with “CARTER” only. 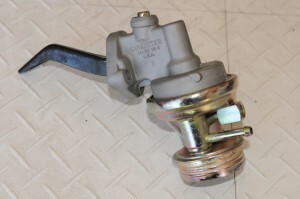 Another distinguishing feature of this particular fuel pump is the button on the top of the casting. This button and the lower half of the fuel pump are zinc-dichromate plated which gives it that gold color that contrasts nicely with the cast aluminum of the main housing. The lower half of the fuel pump is crimped to the main housing, which makes re-building a difficult proposition. You must have special tooling to create this crimp when you install a new pump diaphram. 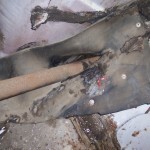 At the time of this posting there is a source for rebuilding these pumps. To complete the unit, there is a screw-on filter canister on the bottom of the pump that is white in color with red writing that says “fuel filter” along with other instructions. An excellent reproduction of this filter canister is now available from several Mustang parts suppliers – including Virginia Classic Mustang, the sponsor of this site. Besides the 3939S, there is also a Carter 4201 dual-spring, HiPo fuel pump that was installed on later 1966 Shelby’s. It looks similar in general, but doesn’t have the integral filter canister. 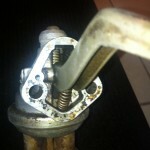 When that pump was used, the fuel filter was an inline type attached to the input of the carburetor. The 3939S fuel pumps are a very rare item today because most of the originals were discarded when they failed as they were difficult to rebuild. Note: The very early version of the HiPo fuel pump was a 3623S, and had the upper and lower halves held together by screws instead of being crimped together. It usually had a raised “X” on the side of the upper half as shown in the picture to the right. Production of that version of the pump ceased long before the carryovers were built and there is no evidence that a pump of that type was ever installed on a carryover at the factory. This pump is only mentioned here for historical purposes. Three different vendors supplied jacks to San Jose during the 1965-66 time period; two of which are more prevalent than others. Both fine and coarse threads were used depending on the vendor. 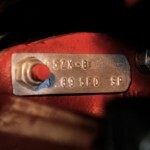 They didn’t start putting date codes on the jacks until 1967, and even then not all manufacturers did that. Also in 1967 they started using the longer style jack. So the only thing reasonably certain about original carryover jacks is that they will be the shorter style and they won’t have a date code. And these traits are not specific to the carryovers – they are shared with the other 1965 & 66 GT350s. There are more details involved than those mentioned here, but conclusions about them are elusive at this time.